Great opportunity to design and build your new home with RM Standard & Co. in the gated Reserve neighborhood of Meadowbrook Park-Prairie Village's newest luxury community. Surrounded by an 84 acre park, lakes, and 3.75 miles of trails, you will enjoy the close-in location & being surrounded by unique homes of classic architecture built w/ quality craftsmanship & the highest attention to detail. This maintenance-provided neighborhood includes lawn care, snow removal, & tree & shrub care. Price is for lot only. From 95th & Nall, go north on Nall to Meadowbrook Parkway, turn right and follow to Cedar Reserve Drive, turn right, go through gates, and turn left to lot on the left. Prairie Village is located in Kansas. Prairie Village, Kansas 66207 has a population of 186,515. The median household income in Prairie Village, Kansas 66207 is $72,231. The median household income for the surrounding county is $75,017 compared to the national median of $53,482. The median age of people living in Prairie Village 66207 is 37.7 years. This content last refreshed on 4/21/2019 9:35 AM. Some properties which appear for sale on this web site may subsequently have sold or may no longer be available. 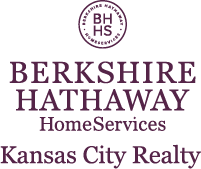 I am interested in 9333 Linden Reserve Drive, Prairie Village, KS 66207.